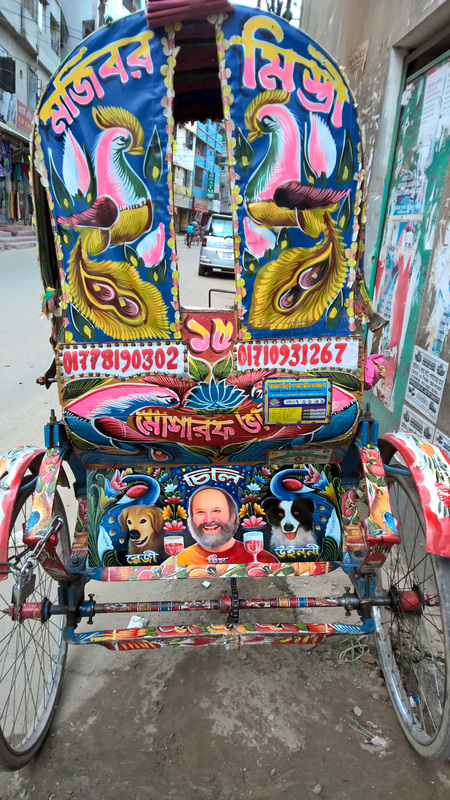 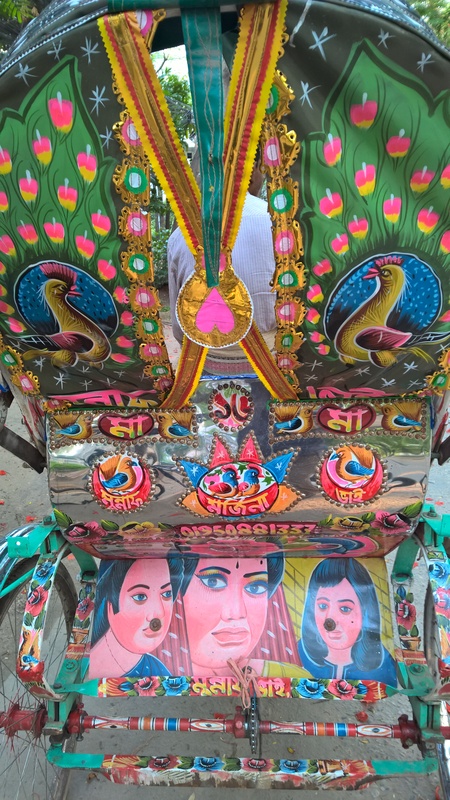 The myriad of designs, decorations, styles and garishness of the Rickshaw art makes any trip on Dhaka’s streets entertaining and at times quite trippy. 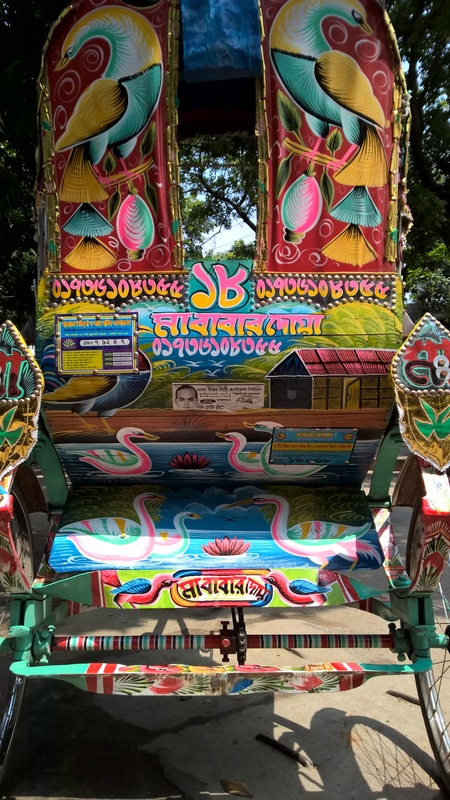 A number of the Rickshaws incorporate film stars from days gone by, I’ve seen Bengali Tigers, for some reason the Taj Mahal and any number of psychedelic looking birds. This is where things got a little strange. 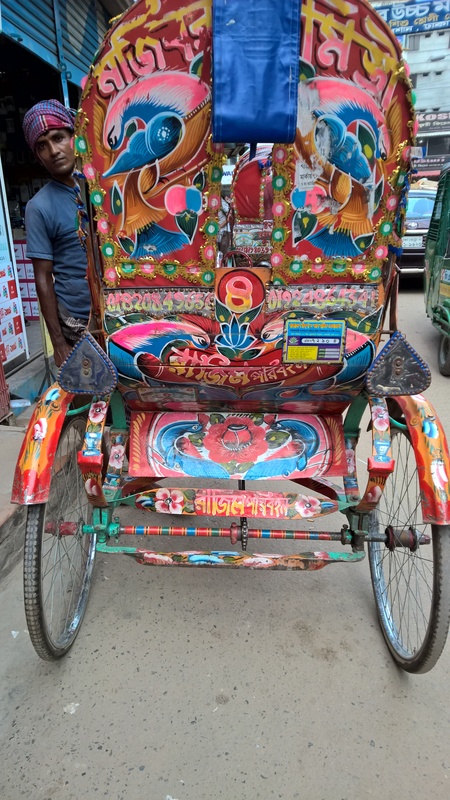 I was cruising in a neighborhood called Bushundra the other day and came across a Rickshaw the likes of which I’ve never seen before.